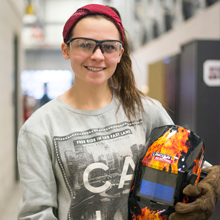 Loyalist College strives to offer international students an opportunity to participate in the studies of their choice while enjoying the safe, small-city atmosphere that Belleville has to offer. To our new international students, we extend our warmest greetings and hope that your stay at Loyalist will offer you a rewarding combination of academic preparation, extra-curricular activities and intercultural experiences. Faculty and staff are sensitive to the needs of international students. They are dedicated to helping with academic and personal adjustment, as well as offering assistance in understanding the culture and policies related to our College community. The following information is intended to help you prepare for your journey at Loyalist College. Loyalist offers a special Orientation for international students. This is an opportunity for you to meet other international students, become familiar with the College and the surrounding community and prepare yourself for a successful year! It will also help prepare you for your classes and answer many questions that you might have. Dates and times will be sent to you at the start of each semester. To look up current exchange rates, visit the Bank of Canada. International students are eligible to work on campus, but there is no guarantee of work. Students must apply to be considered. Academic standing after semester one at Loyalist College will determine your eligibility to work on campus. Minimum wage in Ontario is $14 per hour. Jobs on campus are limited. It is each student’s responsibility to find their own job on campus and there is no guarantee of employment. We recommend that you arrive early for the semester and have a C.V. or résumé ready to give to potential employers within the College. 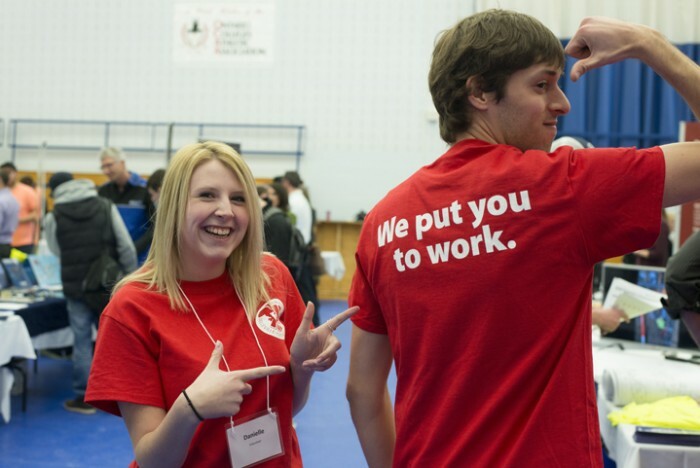 Working on campus is an opportunity to interact with the College community and earn valuable Canadian work experience. You should not rely on a student job to support yourself financially while living in Canada. 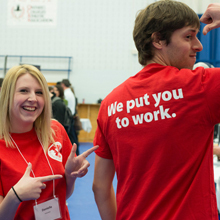 International students must receive approval from the International Centre to work on campus. You must be in good standing with the College and maintain a GPA of 60% or higher depending on the position’s requirements. The International Coordinator at Loyalist College has developed a program to support College departments in hiring international students. For more information to prepare you for working in Canada, please refer to the Career Centre. Full-time international students at Loyalist College who have studied for a minimum of six months, and are in good standing with the College, are eligible to apply for an off-campus work permit through Citizenship and Immigration Canada. The off-campus work permit would allow you to work part time during school sessions and full time during holidays. Each student is responsible for finding their own employment. For more information visit the Government of Canada’s information page on off-campus work permits. Each year, Loyalist awards various smaller scholarships based on academic performance (grades). Applications are distributed to registered students only at the end of semester one. Successful candidates for scholarships will be academically strong students. Entrance scholarships are not provided and students must be able to financially support themselves during their studies. For more information, visit the Canada Revenue Agency or phone 1-800-267-5177. Workshops and assistance will be provided in February/March. Canada has a very good medical system and ranks among the top medical countries in the world. Your tuition and international student fees include mandatory 12-month health insurance while you are registered at the College. This health insurance package is currently offered through guard.me student guard health insurance. For specific details, please refer to their colleges and universities policy. There is a full-time nurse available on campus, as well as a doctor once a week. If you need to see a nurse or doctor, you should go to the College’s Health Centre located in Room 1H7, or call 613-969-1913, ext. 2374. Check out the City of Belleville for more great information about the region. The City of Belleville Transit system has a number of buses that run every 30 minutes Monday through Friday, and an alternate schedule on Saturdays and Sundays. The cost of the bus is currently $2.50 per use or you can purchase a monthly or semester bus pass in the College Bookstore for about $65 per month. If you are paying for individual rides, you must provide exact change as drivers are not permitted to carry change. You may find it beneficial to get a driver’s licence while in Canada. You must have a driver’s licence to be able to drive in Canada. If you have a valid driver’s licence from your home country it will only be valid in Canada for 60 days. If your driver’s licence is from a country other than the United States, you must also have an international driver’s licence. If you do not have an international driver’s licence, you must apply for an Ontario driver’s licence. For more information on drivers licences visit the Ministry of Transportation of Ontario. The faculty and staff are here to help you succeed. If you have any questions or concerns about lectures or assignments, do not hesitate to ask for help. There are several services available at the College to assist you in your academic progress. We want to ensure you are successful in your studies. Learn more about our Student Success services. Classes will be scheduled Monday to Friday anywhere between 8:00 a.m. and 8:00 p.m. The number of classes each day varies from program to program. Classes are usually between one hour and three hours in duration. Most students have between 20 and 22 hours of classes per week. Saturday and Sunday are considered weekends. Many students visit with their families, travel or complete academic assignments. Library and computer services are open to students on the weekend. Plagiarism is defined as the submission of words, ideas, images, or data of another person as one’s own in any academic writing, essay, theses, research project or assignment in a course or program of study. It is not permissible to have someone else write tests, examinations, essays or laboratory reports for you. If you are caught plagiarizing someone’s work, you may be expelled from College. If you are unsure if you are allowed to use notes or textbooks during a test or exam, ask your professor. If you have any questions about plagiarism, you should discuss them with your faculty or program coordinator prior to submitting your work. To be successful at College, you must attend all of your classes on time and be ready to take notes and participate. If you miss a class, you should ask a friend or the professor for the notes as soon as possible. 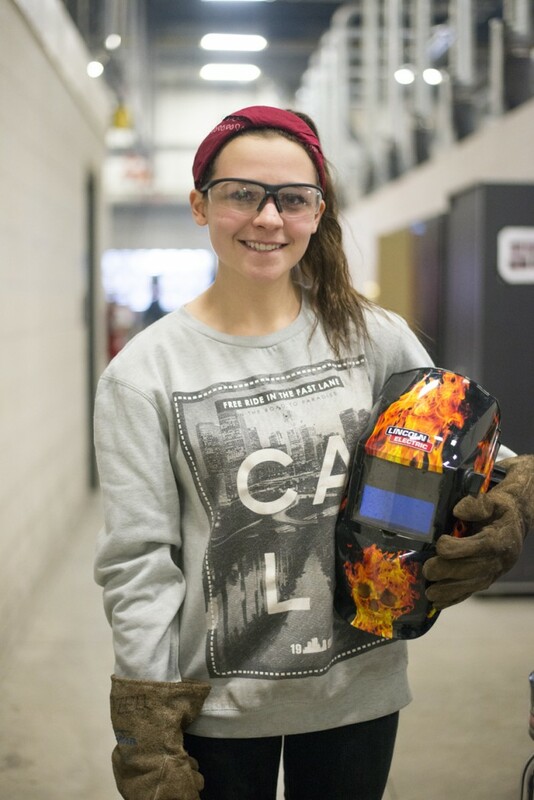 Loyalist offers excellent athletics, sports facilities, campus recreation and outdoor education programs. Learn more! Loyalist Student Government organizes many events and activities for students, including events at the Shark Tank Pub. 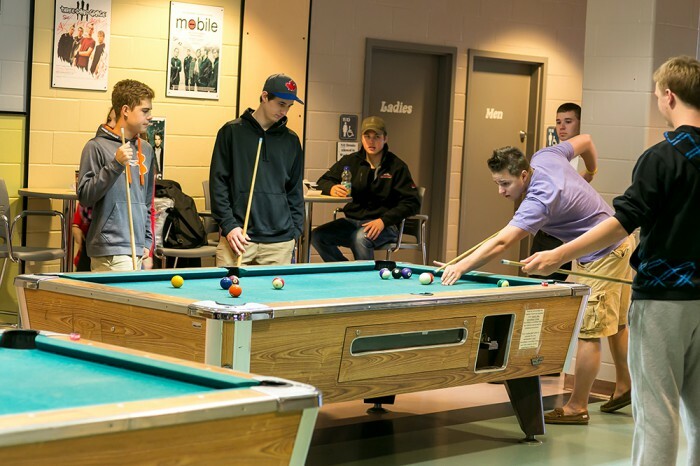 By day, the Student Centre is a place where you can relax and meet new friends while at Loyalist College. The pub is equipped with six billiard (pool) tables, televisions and a patio lounge area. There is also a Tim Hortons coffee shop where weekly movies are shown along with theme nights, comedy performances and more! Although Canada is very multicultural, there are many basic values and customs that create the foundation of the country. Freedom and individuality are important to Canadians. Canadians are taught from an early age that they are responsible for their own situations in life. Canadians usually see themselves as individuals more than as a member of a group, nation, or even a family. It will be expected that you become self-sufficient while in Canada. Privacy is important to Canadians. It is polite to ask about someone’s work or academic major, but it is generally considered impolite to ask about someone’s age, appearance (e.g., their weight), or status (e.g., how much their car costs). Personal space is important to Canadians and the typical Canadian conversation takes place with one arm length between each person while they are speaking. Canadians also like to have time and space to themselves. In people’s homes, it is important to respect the private rooms such as bedrooms. Canadians tend to relate rather informally with one another. When speaking with family or friends, “slang” language is commonly used by Canadian youth. Casual attire is acceptable for students to wear at College. Canadians are very polite to others. They tend to say “please” and “thank you” as well as other respectful notions and responses. Canadians believe in equality of all people regardless of race, heritage, gender, age, disability or social status. Canada has a “zero tolerance” policy when it comes to acts of violence or of dominance over another person. Many Canadians value political correctness, which means they avoid expressions or actions that could be insulting to others. Canadians believe themselves to be tolerant of different lifestyles and customs. In reality, stereotypes and prejudice do exist in Canada. Canadians place a high priority on punctuality. When you have an interview or appointment, it is customary to show up a few minutes early. If you are unable to make the interview or appointment, contact the individual you are meeting and schedule an alternative time and place. Belleville is located at the midway point between Toronto and Ottawa, and is situated on a major highway, allowing travellers easy access to Niagara Falls, Toronto, Ottawa, Montreal and many other destinations. The United States website for questions and information on immigration can be accessed at us-immigration.com. A valid passport. If your passport has expired, you must contact your country’s nearest embassy. A valid study permit. If you are returning to study after travelling outside of Canada and your permit has expired, you must renew it.